Want to target a global audience with a localized Magento store? Selling online is much easier when your customers can read about your products and services in their own language. 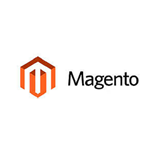 Magento is a fantastic eCommerce solution, but you can supercharge it by translating Magento with a super simple Localizer integration. With just a single line of code, add multiple languages to your online store and stay SEO friendly to boot. How can Localizer translate Magento?